store that currently anchors the mall's eastern portion.
. It features almost 175 stores and is one of Montreal's most productive malls with yearly sales per square foot of $617.
. We'll keep you updated on Simons' Canadian expansion including this possible new suburban Montreal store. "Fairview Pointe-Claire", "Maison Simons", "Montreal", "Sears"
is set to expand in a manner unique among Canadian malls. Its first phase expansion opens later this month. It will integrate elements of both enclosed mall retailing as well as outdoor 'urban streets' on the property for externalized retail. We interviewed Rick Amantea, VP of Park Royal. We'll provide a summary of the interview's key details. Mr. Amantea referred to Park Royal as being the world's largest community centre. Interestingly, those who visit the mall tend to do so very frequently. In metro Vancouver, shoppers visit malls at an average of 1.47 times/month. At Park Royal, it's an average of 6.7 times/month for a total of about 15 million annual visits. This fall Park Royal will open its new 'Village' retail in Park Royal South (the mall is separated by West Vancouver's Marine Drive) and will feature stores such as LOFT by Ann Taylor, Michael Kors, Anthropologie, J. Crew, Aritzia (the largest in BC at over 7,100 square feet), Sephora, and others. The new Zara store location will be one of Canada's largest, at almost 21,000 square feet. Watch for these to open in the next few weeks. About 1,000 new parking spaces will be built over four levels, including a state-of-the-art management system to make finding parking easier. Parking opens later this month. Each day, about 9,000 transit riders pass through Park Royal along Marine Drive. Interestingly, the mall will install two traffic lights at two new intersections as part of an extended streetscape, all on its own property. The mall will even name its new streets. New residential will be part of this project. We'll leave out details as it doesn't pertain directly to retail, beyond adding shoppers to the site. "Maison Simons", "Park Royal Shopping Centre", "Rick Amantea", "West Vancouver"
Quebec City-based La Maison Simons is expanding across Canada, having most recently secured space in suburban Vancouver. 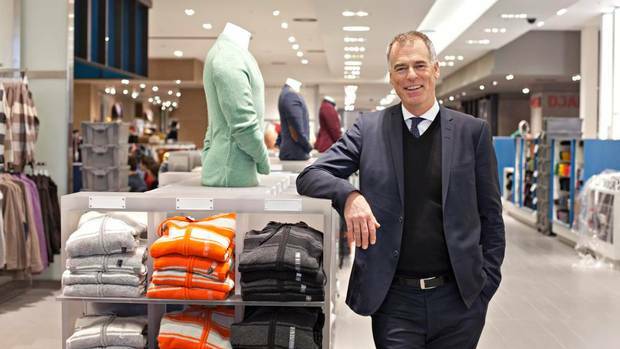 We interviewed Simons' CEO Peter Simons for details of his company's expansion across Canada. Future Simons store(s) in Calgary? Simons is talking to landlords in Calgary and Simons is examining possible locations for as many as two Calgary stores: one in a downtown location, and one in the city's suburbs. We'll discuss this more at a later date. Future Simons store in Winnipeg? Winnipeg is on Simons' radar, and a store could open somewhere in the suburbs. Moreover, Simons at Polo Park may not be a possibility at the moment, and a deal for a store in an upscale mall north of Polo Park fell through a couple of years ago. It appears there will be no imminent Winnipeg store announcements for Simons. Future Toronto-area Simons stores? 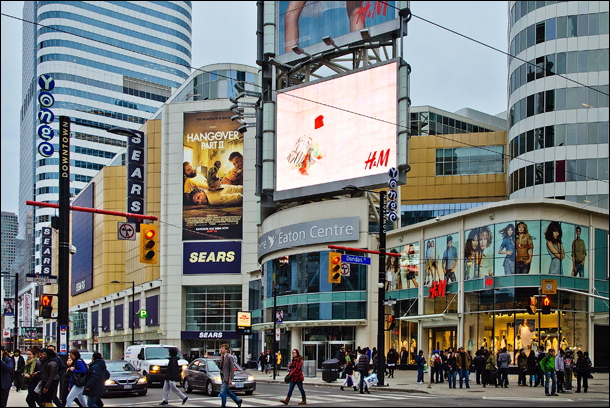 Simons is negotiating with Oxford Properties to open in Toronto's Yorkdale Shopping Centre as well as Mississauga's Square One. This would be in space to be vacated by Sears. 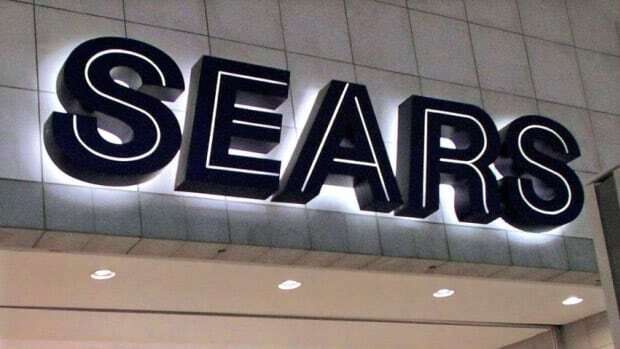 Simons had no comment on the progress of negotiations for stores in these malls, though he mentioned that as many as 3-4 Simons stores could eventually open in the Greater Toronto Area. Simons' new Ottawa (Rideau Centre) store: Simons will build a 105,000 square foot store with about 95,000 square feet of retail and about 10,000 square feet of service space. It will incorporate a re-built facade of the site's former Ogilvy department store. It will also feature an art installation, similar to the award-winning art display at Simons' West Edmonton Mall store. How large will future Simons stores be? Simons is aiming to open new stores in the 100,000 square foot range. Its new Ottawa and Vancouver stores will each be about 105,000 square feet, being comprised of about 95,000 square feet of retail space and about 10,000 square feet of service space. Its recently opened Galeries d'Anjou store is slightly larger, at about 115,000 square feet. How many Simons stores can we expect per city? Simons says that he has no particular goal for a number of stores per city. More to the point, the right space has to come available for a Simons store. Mr. Simons did mention, however, that the Toronto area could see as many as 3-4 Simons stores open in the coming years, though he couldn't provide specific locations yet. Urban vs. suburban Simons Stores? Simons has no preference, though downtown stores can be exciting as they can contribute to building 'urban place', like what is expected to happen with its downtown Ottawa store at the Rideau Centre. Acquiring 100,000 square feet of downtown retail space can be challenging, while securing suburban space is sometimes simpler and less expensive. Vancouver's first store, for example, will be in a West Vancouver mall rather than downtown, even though downtown Vancouver now boasts some of the highest retail sales of any retail area in Canada. Currently, downtown Vancouver lacks the 100,000 square feet of contiguous retail space desired by Simons. Highest-selling Simons stores: Not surprisingly, Simons' two most productive stores are still in the province of Quebec. Its flagship Place Ste Foy store in suburban Quebec City, along with its downtown Montreal store, are currently its highest selling. West Edmonton Mall's Simons could surpass these stores' sales within a couple of years, though. Edmonton has the chain's largest store at 118,000 square feet, including about 100,000 square feet of retail and about 18,000 square feet of service space. 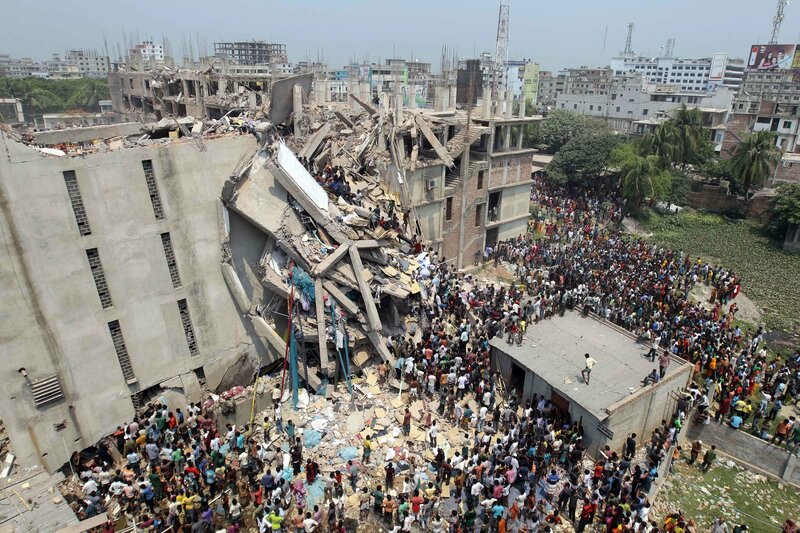 On opening shoe departments at Simons: Simons, at the moment, is avoiding carrying shoes in their stores. Simons has narrowed its product mix to ready-to-wear and some accessories for the time being. Simons' designer/private label merchandise mix: All new La Maison Simons stores are expected to carry both designer clothing for men and women as well as Simons' private label designs. The chain's smaller Quebec stores carry less designer merchandise than its larger stores. All new Simons stores will be larger and are expected to include assortments of designer clothing. Simons' biggest retail competitors: Shoppers are more fluid and Simons carries both expensive designer and lower-priced, fashionable private-label products. Competition therefore spans the likes of Holt Renfrew to Zara and H&M. Online shopping also provides increased competition, though Simons offers it on their website. On opening restaurants within Simons stores: Future Simons stores could include restaurant offerings, similar to Soup Soup which recently opened within Simons' Les Galeries d'Anjou store. Each location will be considered individually, and local restaurants may be considered if the right "fit" is present. Future in-store public art installations: Simons says he expects all new stores to have art installations, similar to an award-winning installation in his Edmonton store, which opened last year. The company's future growth strategy: Simons is a family-owned business that has been around for almost 175 years. Recognizing this, it will grow itself gradually and intelligently so that it will continue to exist for generations to come. New store openings will therefore be gradual, with no more than two stores opening per year. Simons is also looking for ways to economize on store construction, as its Edmonton store cost more than expected. The Edmonton store, nevertheless, received a prestigious award: International Store of the Year by Chainstore Age. We'll provide further details on Simons' possible Calgary store locations soon. "Interview", "Maison Simons", "Peter Simons"
at West Vancouver's Park Royal Shopping Centre. We were provided a floorplan by Park Royal Management, showing the location of the mall's La Maison Simons store which is scheduled to open in the fall of 2015. It will replace a grocery store and will be located within an expansion of Park Royal South (the mall is separated into two parts by West Vancouver's Marine Drive). Rick Amantea. Park Royal, we discovered, is unlike any other Canadian mall for various reasons. We'll elaborate soon on this topic - we've been doing a lot of research this week so we're keeping our articles brief. We also interviewed La Maison Simons CEO Peter Simons last week, and Mr. Simons provided us with information on Simons' exciting cross-Canada openings. Next Canadian city to get a Simons announcement? We'll do a follow-up article soon. "Maison Simons", "Park Royal Shopping Centre", "West Vancouver"
. It will be about 105,000 square feet. It will be located in Park Royal South: the mall is comprised of a disconnected north and south portion, separated by West Vancouver's Marine Drive. mentioning that we thought Simons would unveil plans for a Vancouver-area store this month. Astute readers noticed we included a photo of West Vancouver in the article, and we even tagged Park Royal for readers to potentially pick up the clue. The announcement is official so we're now able to openly report on it. in both of the above malls. Simons is also said to be seeking retail space in Calgary and possibly Winnipeg. We'll elaborate more on this soon. La Maison Simons will be part of a $150 million renovation and expansion of Park Royal Shopping Centre. The project will see new stores, new brands and a modernization of the shopping complex. We'll follow up this article with renderings and floorplans of parts of the expansion. In all, the project will include about 300,000 square feet of new and reconfigured retail space, including an outdoor "village" shopping area. Park Royal is the second-largest mall in the Vancouver area. It's about 1.2 million square feet and has over 280 stores. The mall is located in West Vancouver, one of Canada's wealthiest municipalities. The mall's expansion will bring it to over 1.3 million square feet. "Maison Simons", "Park Royal Shopping Centre", "Vancouver", "West Vancouver"